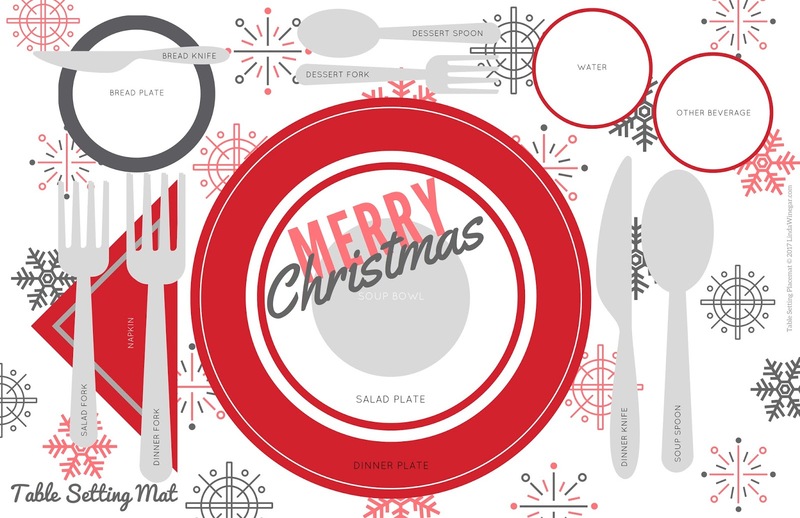 This Merry Christmas placemat is sure to get those kids trained up for the holidays while also looking festive! If you missed the Ultimate Holiday Bundle including 32 different printables (Join the Procrastinator email group and I'll let you know when our next bundle will be going out and the specials offered with it). 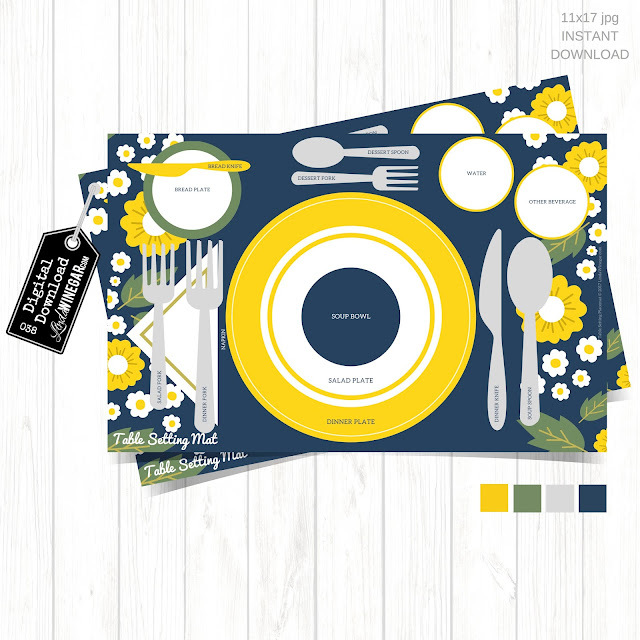 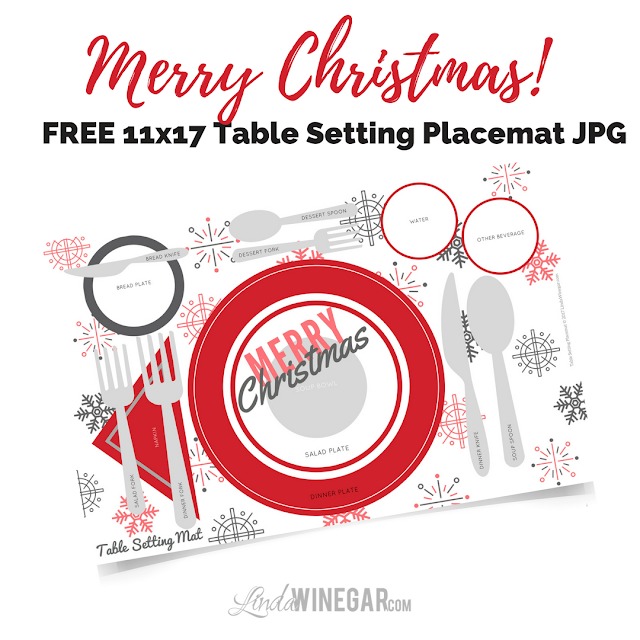 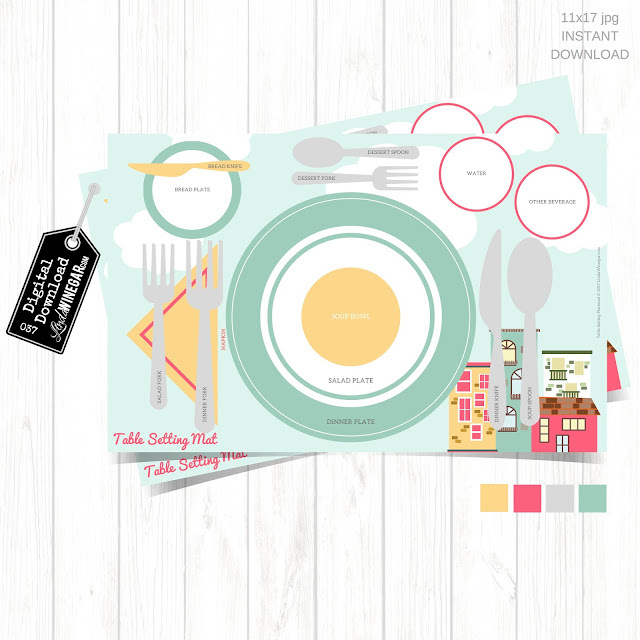 Regardless, I'm discounting all of the table setting placemats 50% off (until Dec. 31st 2017) and giving this Merry Christmas Table Setting Placemat for free! 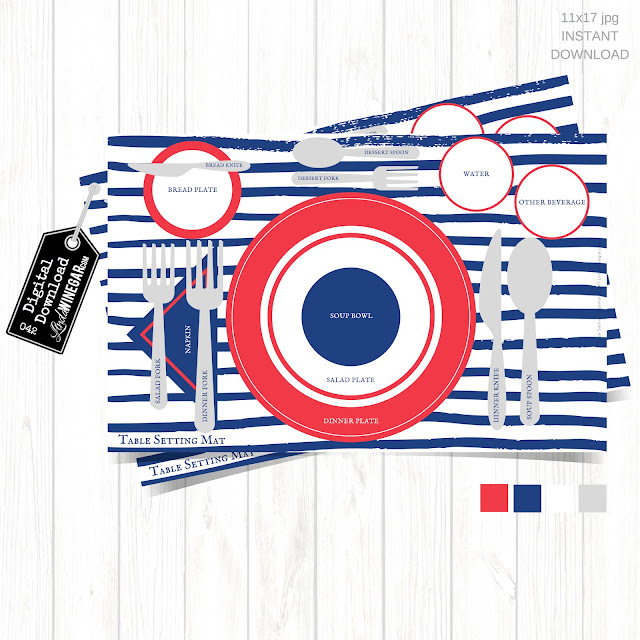 I have these 5 other placemats available on my Etsy shop, click images for more details below. File will be just 1 single PDF or JPG 11x17 file. 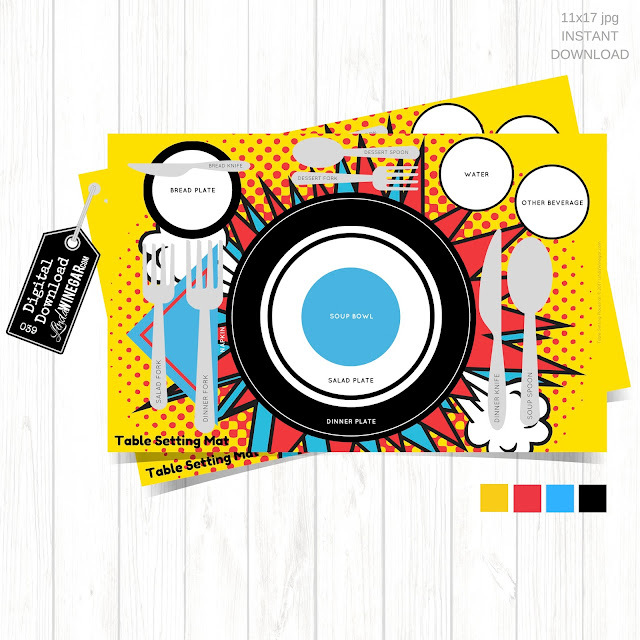 Have it printed 100% on 12x18 size paper and trim white edges off and have it laminated. 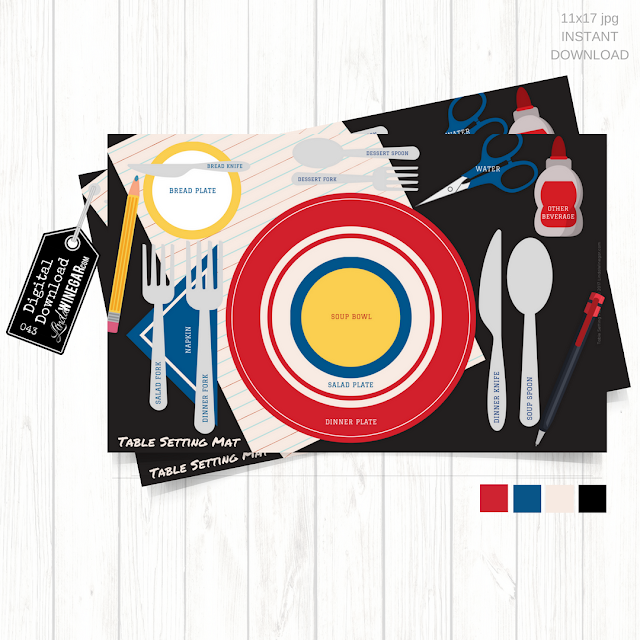 OR... Print it "Fit to Page" on 11x17 size with white border (.25") around all sides without trimming the white border off and have it laminated to make it last longer.